← How Can You Take Care of Your Senior Loved One? What do you think are the essential qualities of a good caregiver? What are the necessary preparations that every caregiver must do before they embark on their health care journey? Perhaps, they need to have the credentials. They also need to have the skills, especially when the patient needs medical assistance. But most importantly, they need to have the right attitude for the job. It is important for caregivers to have the right mindset the moment they start their work. In this manner, they will know what to expect and at least prepare some contingency plan for the patient. At Abundant Life Assisted Services, the trusted name when it comes to Senior Home Care Services in Georgia, we always train our caregivers to be flexible and efficient no matter what the circumstances are. Dealing with your patients, balancing one task from the other is no joke. If you ask a senior caregiver, you would know how long it took them before they have mastered the skill of dealing with senior patients. Some of the best caregivers we know today had spent more than a decade before they have smoothly sailed the challenges of providing health care to patients. The best tip that we can give to the young caregivers is that you should understand the nature of your task. You have to know the reason why you are there and why you are doing that. There would be days when your patient would throw tantrums at you or a certain family member who would complain about trivial things, but you should never lose your composure. Over time, you will know how to deal with these matters and the next thing you know, you are already a pro at this. Getting burned out is normal for caregivers. The demands of the job are hard to balance. For live-in caregivers, they may have to deal with sleepless nights or tiring days because they have to wake up every now and then to accompany their patient to the restroom or to give them their medication. For caregivers working on a daily basis, stress may come in the form of dealing with different kinds of patients every now and then. Surely, these things can cost you your free time or even your peace of mind. But you have the choice to throw these stressors away. As caregivers, you can also relax and unwind every now and then just to regain the energy and strength to deal with your patients again. At the end of the day, the primary reason why you become caregivers is that you want people to embrace aging. You want to make the whole aging process bearable to all senior adults. You want to help them understand that old age is not a hindrance to doing things they love. With home care, you are giving them the opportunity to enjoy their retirement days in the comforts of their home and in the company of their family. Lastly, you have to remember that caregiving is a noble endeavor. It could affect the lives of the patient one way or another. Hence, it is the task of every health care provider to make sure that each patient receives quality service all the time. 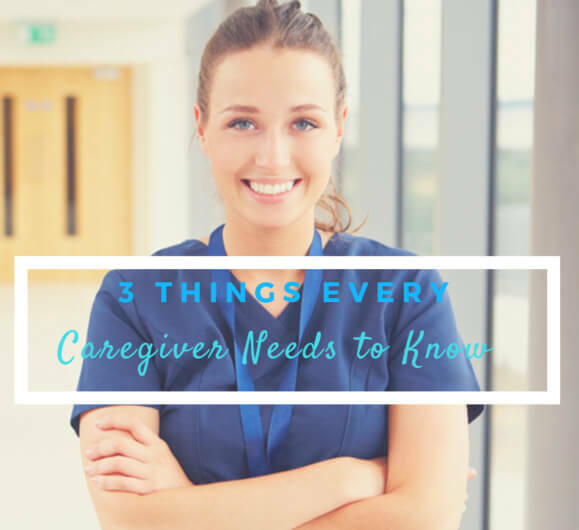 What other important matters should caregivers know? Let us know if you have any ideas or if you are looking for a provider that will cater to your loved one’s needs. For details, you can visit our In-Home Elderly Care Office at Abundant Life Assisted Services. You can call us at 678-319-0307 for inquiries. This entry was posted in Caregivers, Elder Care, Home Care and tagged Health Care, Job of a Caregiver, Senior Care. Bookmark the permalink.